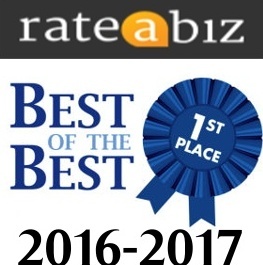 Toms River Airport Car Service - 2017 and 2018 APP "Best of the Best"
Whether you’re heading out or returning home count on our Toms River Airport Car Service to get you there in comfort and style. PRO Car and Limo is your GO TO choice for Toms River Airport Car service. Reliable, safe and GUARANTEED on time. We provide safe, affordable Toms River Airport Car Service. Our fleet consists of clean, reliable Luxury Sedans, SUV’s, Limousines and our 18 Passenger Limo Coach. We also serve the rest of Ocean County and Monmouth County. Our friendly staff works hard to ensure our customers 100% satisfaction. From booking straight through to the Professional Licensed Chauffeur who will provide you with exceptional service. The entire staff at PRO Car and Limo understands that travel can be stressful and that you have plenty of companies to choose from for your Toms River airport car service needs. That’s why they go the extra mile to make sure you are comfortable from beginning to end. We must be doing something right. 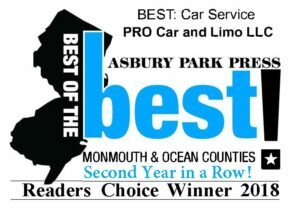 For the second year in a row we have been named the Asbury Park Press Readers Choice Awards “Best of the Best”. So if you haven’t traveled with us on the past, see what traveling with the “Best” is like. For the service you deserve GO with the PROS!! 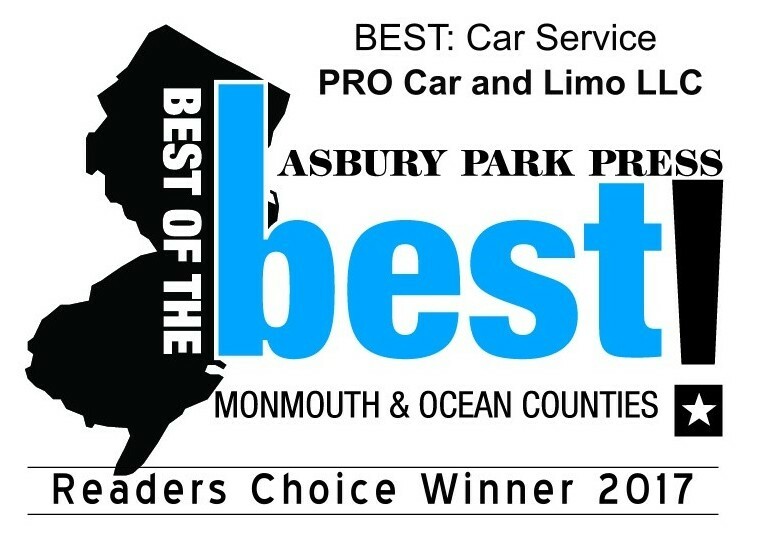 PRO Car and Limo offers the best airport taxi service and airport transportation service at the Jersey Shore. 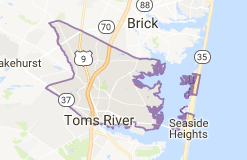 We are based right here in Ocean County with offices in Forked River and Brick and we service all major airports and cruise piers. We know the fastest, most reliable routes to get you where you need to go. We know how to avoid rush hour traffic when possible and our Chauffeurs are accustomed to driving in all weather conditions. So if your journey from Toms River is taking you through Newark Liberty International Airport, Trenton Mercer Airport, LaGuardia Airport, JFK International Airport, Atlantic City Airport, or the Philadelphia International Airport our promise is to provide you with safe and dependable transportation. We understand that you depend on our reliability, and we are the ONLY company who GUARANTEES on time pick up EVERY time. So if you are looking for a Toms River Airport Car Service there is only one option….GO with the PROS!